King Speedy flat mop system 40cm folding mop system, complete with mop frame and handle. Cotton Looped King Speedy flat mop heads. 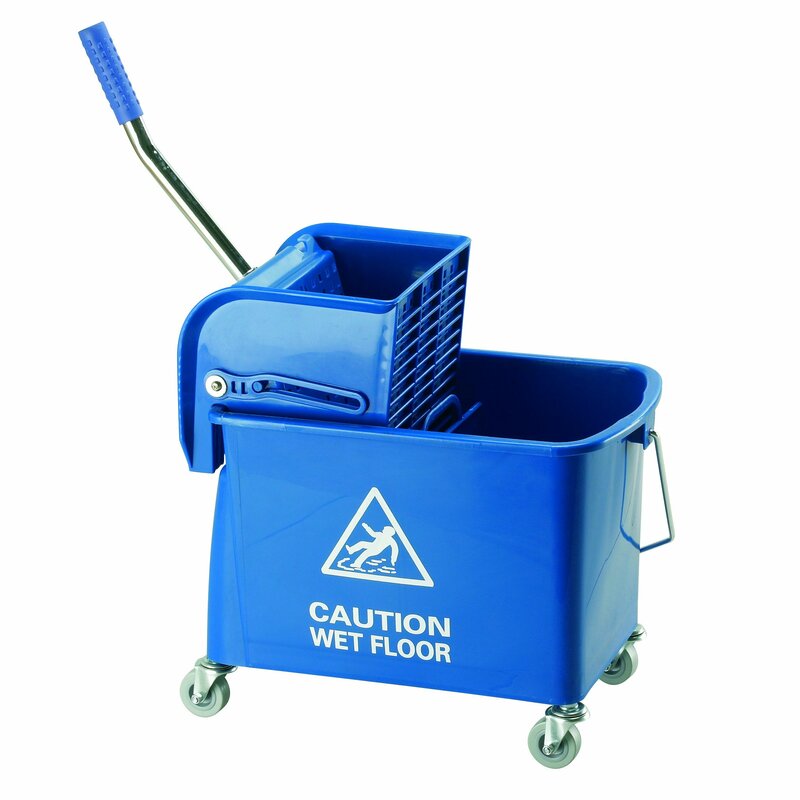 MicroSpeedy flat mopping unit consisting of 20 litre bucket, steel handle and 50 mm (2') castors. Printed with a 'Caution Wet Floor' message, together with a unique side press wringer. Bucket supplied with divider panel to separate clean and soiled cleaning solutions. The choice of colours allows the operative to keep specific colours for particular areas, thus avoiding cross contamination. RED - Washrooms and toilet areas. GREEN - Raw food preparation areas. YELLOW - Food and serving areas. BLUE - Low risk and basic cleaning areas. Q. Would this bucket be suitable for a 24' Kentucky mop? A. This bucket is not suitable for the 24' Kentucky mop. It is too small, also the wringer with this bucket is specially designed for a flat mophead so you wouldn't be able to wring out a Kentucky with this. We do have specific buckets for the Kentucky and a link is provided at the bottom of this page.